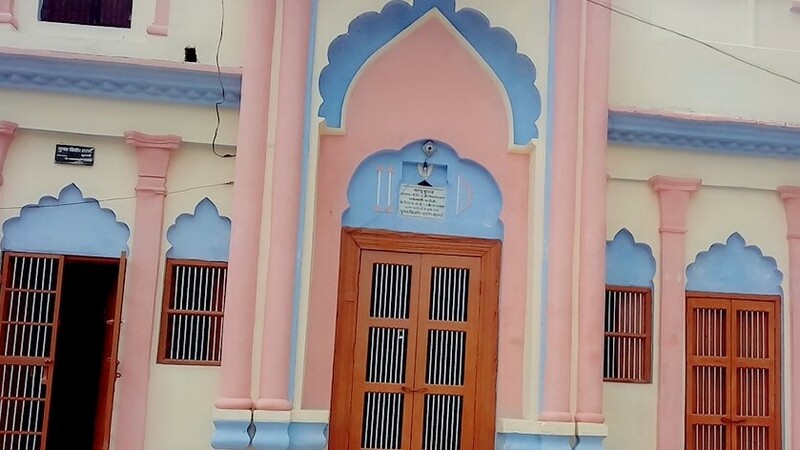 Mahant Jugal Kishore Sharan Shastry, chief priest of the Saryu Kunj temple, said that they want to spread the message of peace from Ayodhya to the world. 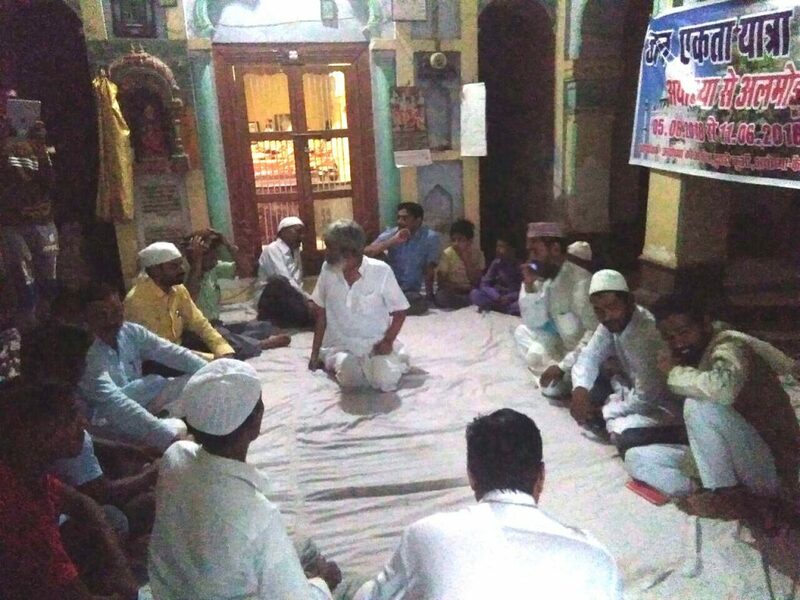 Ayodhya: In an attempt towards what they called strengthening the tradition of communal harmony in Ayodhya, Hindu priests hosted a roza-iftar party in the 500-year-old Saryu Kunj temple adjacent to the disputed Ram Janmabhoomi-Babri Masjid on Monday. Many members of the Muslim community from the twin towns of Ayodhya-Faizabad took part in the event. What was interesting about the iftar party was that there was no invitee with a political background. “This is because we want to send a message that our move is not political in any way. We just want to spread the message of peace from Ayodhya to the world,” said Mahant Jugal Kishore Sharan Shastry, chief priest of the Saryu Kunj temple. Prior to the iftar party, a talk discouraging communalism was organised, which was attended by students and teachers from local colleges. On this occasion, the gathering pledged to work for peace at the first sign of communal tension. During the iftar, sadhus from different temples of Ayodhya were seen distributing khajur and laddus, the prasad from Ayodhya’s famous Hanuman Garhi temple. After the event, maghrib (the post-sunset Islamic prayer) was offered in the premises of the temple. 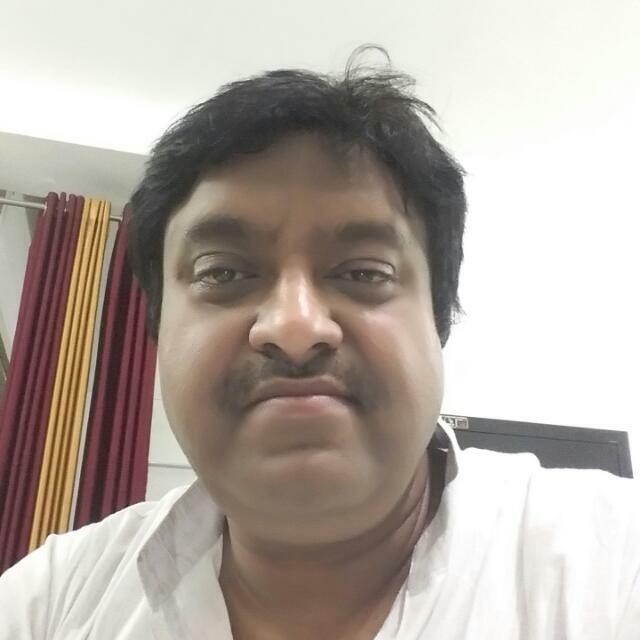 Mahant Raghusharan Das, a priest, said, “We are of the opinion that efforts must be made to bridge the gap between the two communities and hosting iftar for Muslim brothers is a good opportunity to bring both communities closer. So we decided to send the message of peace through this roza iftar”.